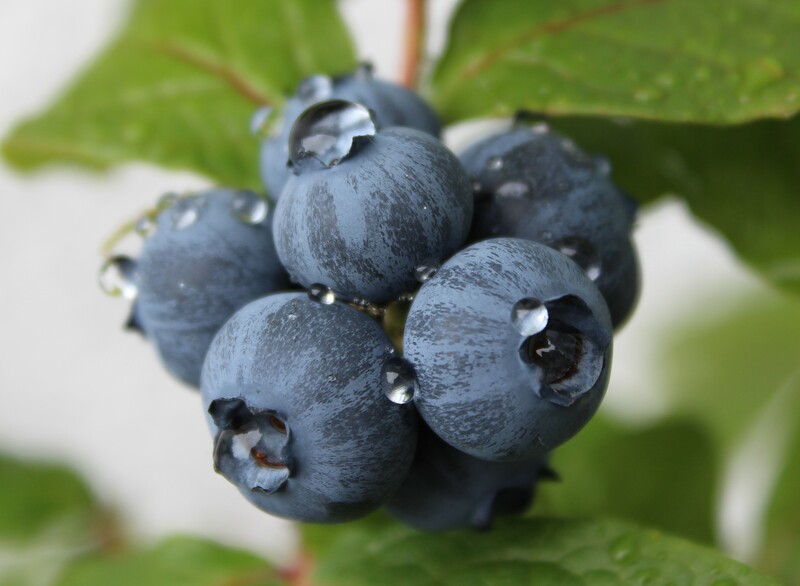 It is blue and it is a berry. It won’t be long before it is no longer a berry or blue. Yes, yummy, eat them as they are or in muffins or fruit salad or with cream, just yummy. Our much missed Charlie (the pussycat at the top of the page) used to eat them all and some of the leaves, they always remind me of her when I pick them. What a lovely memory, our little cat has never fancied fruit in her 20 years, but she did occasionally eat some carrot cake, it may have been the frosting that appealed. They are peculiar creatures, perhaps that is why we love them so much. Wonderful photo of such a tasty treat! Thank you, they are delicious!